Mets outfielder Juan Lagares sprained his shoulder in Winter League, but he’s expected to be ready for Spring Training, according to MLB.com’s Anthony DiComo. A Juan Lagares update: the Mets say he suffered a right shoulder sprain in that D.R. game. He'll be ready for the start of Spring Training. 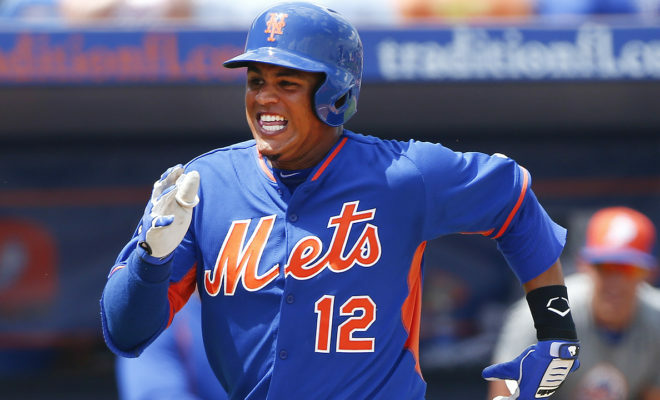 Lagares had been struggling mightily with the bat, and he will likely enter next season with a backup role unless the Mets deal at least one of their outfielders. Only time will tell.